What is ati2evxx.exe? Should I remove it? ati2evxx.exe is a legitimate file, which can also be called the ATI External Event Utility. Basically, the main its purpose is to configure and manage hardware from ATI Technologies company, so if you don't want to have problems with the malfunction of ATI video cards or other company's product, you shouldn't terminate this process. 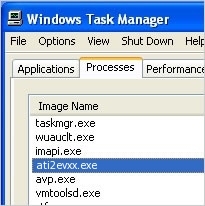 In most of the cases, ati2evxx.exe starts automatically and runs in the background of the system. Sometimes this file may slow down the PC's boot time or performance. In this case, it is recommended to terminate it from the startup. Any malware can be named anything, so if you noticed that ati2evxx.exe process behaves strangely, you should check it with security software. In most of the cases, malicious processes are used for infecting systems with other threats, updating viruses or simply collecting information about the user and sending it to hackers. 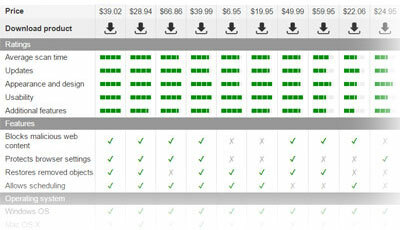 In order to check the trustworthiness of ati2evxx.exem we recommend using RegCure Pro. Zrozumienie pliku ati2evxx.exe i jego ważności. ¿Cuál es la función de ati2evxx.exe? Artikan file ati2evxx.exe. Apakah saya membutuhkannya? This entry was posted on 2014-04-01 at 05:46 and is filed under Files, System files. You can quickly scan the QR code with your mobile device and have ati2evxx.exe manual removal instructions right in your pocket.